After and around the same time as Dear Esther you have Journey with its focus on graceful movement and companionship; Proteus with its musical and relaxing islands (a ‘sit’ button replaces the more typical ‘jump’ button); Gone Home provides a singular but intricate space to walk around, objects to handle in a more traditional style, and a clever play on horror conventions. No shortage of individual creators have created their own games that could also be classified as walking sims. Blockbuster games such as Alien: Isolation have included extended sequences where the player does nothing but walk and look and listen (and of course such sequences existed long before ‘walking sim’ was formalised as a name). The genre has come into its own to an extent that I feel comfortable calling it a genre. 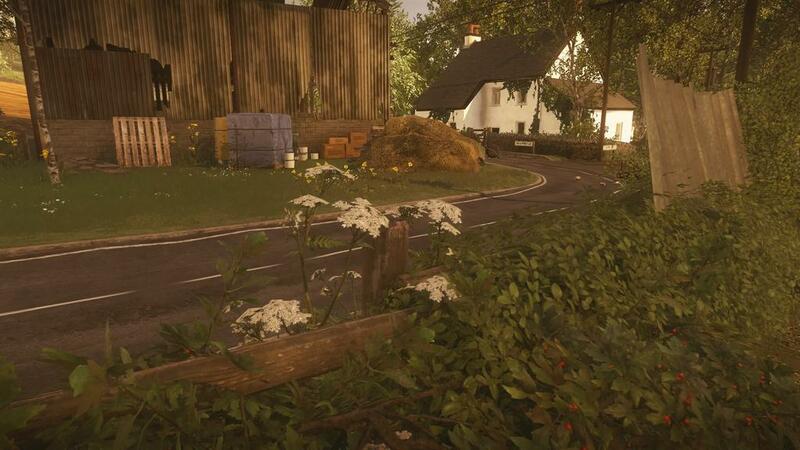 What Everybody’s Gone To The Rapture contributes to this nascent genre is a stubborn commitment to its own pacing. The slow walking speed combined with the large environment ensures that it takes a long time to get anywhere. I don’t see this as the game artificially stretching itself out like an adventure game adding a sewer level, but a game that knows exactly how it wants to be engaged with: slow, mediative, considered, observant. The lack of a sprint button found much discussion in the game’s reviews (and the secret sprint button that actually exists found even more discussion on twitter). Some will see this as removing the player’s choice to play a game at their own speed. I see it as a game admirably refusing to compromise its own vision because of some ‘the customer is always right’ perception of a player’s role. The walking speed is not arbitrary. Being able to sprint everywhere would be arbitrary; it would exist only because ‘that is what videogames do’. Related to this, Rapture is long. Probably the longest walking sim I have played. This is the inevitable direction for the genre to go: we know we can make walking experiences that are satisfying for two or so hours, but can we do it for six? (I don’t know if it took me six hours but reviewers seem to think that’s how long it took. I played it across two days so probably). The environment helps in this regard. Dear Esther, while all being one island, didn’t feel like an exploration of that island so much as a directed walk towards an always visible end point. Rapture’s valley feels almost more like Gone Home’s house, with its illusion of openness hiding a subtle director’s hand pushing you down the path. As you make your way down streets and footpaths and railways around the valley’s lake, vistas show you where you will go and where you have been. Tourist maps constantly help you contextualise yourself. Paths circle around and lead you back to where you came from so that at once you feel like you have chosen your own path through this world while feeling confident you haven’t missed too much down other paths. The effect is that over six hours I felt like I was going on a walk around a small British town and the surrounding country side in a really satisfying way. It felt like how I might actually go on a walk around a small British town. Or anywhere I have never been before, for that matter: just to see what it looks like and how the ‘bits’ of that place all fit together as one continuous environment (not unlike how I enjoy roadtrips). On the far side of the lake, I’d have moments where I’d turn back and look at the path behind me and think: I could walk all the way back to the town, if I wanted to. That was satisfying. The slowness of the exploration is of course made more palatable by the utterly gorgeous environment. The sweeping vistas, the vines trying to strangle farm fences, the muddy slopes near a paddock’s gate, the wooden benches outside the pub, the low clouds drifting over the valley. 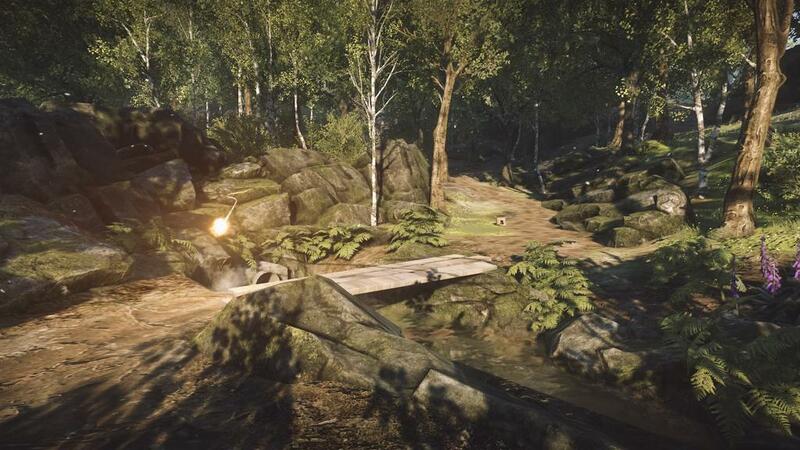 The game looks utterly spectacular in both its attention to detail and the care given to every texture. It’s a world that you want to just stop and look at, and which you are guided while very rarely feeling guided—which, for a walking sim, is essentially to say it has tight mechanics. While we’re talking about looking, what I found most satisfying about Dear Esther was the subtlety of its environmental storytelling (which led to some great discussions). Items rarely drew the player’s attention to them. They were just sitting there in the world and maybe you would stumble across them and maybe you would not—doubly so as on your next play of the game they might not even be there! It was an ambiguity of storytelling (what is background, what is a thing to look at) that matched the ambiguous story. Rapture isn’t quite as ambiguous as Dear Esther, but objects it wished you to look at (a bloody handkerchief, a half-drunk pint) were just as discreet, not calling the player’s attention but waiting to be stumbled across by the player’s gaze. Let’s just go for a walk around the town and see what we see. Dear Esther’s subtle environmental storytelling was balanced by its autoplaying audio-diaries. Rapture is much the same, with its orbs that can be found or followed to unlock ghostly scenes of the villagers talking to each other. These scenes are so wonderfully presented, with the ghostly figures sparking in and out of existence as they talk, more often marked by the lack-of-them than by their presence. The flicker of light/ash of an invisible ghost having a smoke is stunning. Significantly: these apparitions are not mere hallucinations. They throw shadows on the environment. They unsettle objects. Their light reflects off windows and television screens. It’s an eery grounding now of what are ostensibly flashbacks. Dear Esther and Gone Home (and surely now Rapture as well) are often derided for depending on audio-diaries to tell their stories. This has always seemed like an odd criticism to me. Like complaining about a novel relying on a narrator external to the world’s diegesis. At this point I am willing to accept it as a genre convention: the mapping of story fragments to a spatial environment so that physical navigation becomes a sort of narrative navigation, sometimes directed and sometimes wandering. Without ever telling the player what exactly is going on, the game evokes a stunning sense of atmosphere. It’s the quietness for the most part. The eeriness of a environment that presents all the evidence of life except life itself. The music makes a huge contribution here, playing at opportune moments. Sometimes sad, sometimes urgent, sometimes dramatic. You don’t know what is going on, but you know how it is meant to make you feel. Rapture is not without its flaws. Checkpoints are sparse, and I played the whole game suspending my PlayStation 4 as it does not seem to save on exit. This is a baffling omission. I will defend the walking speed, but I would not want to repeat part of this game unless I was replaying the whole game. Worse is the lack of clarity in just what exactly can be interacted with. The game begins with on-screen prompts appearing when you approach an object (‘X’ when you look at a stereo, for instance), but these prompts then stop after the first few minutes. I had not realised they had stopped, and spent the longest time assuming I had just not found any objects to press ‘X’ on. Near the end of the game I learned I could flick on light switches. I understand the desire to not have prompts appear on-screen, but the swap from one to the other was confusing. Worse is the in-distinction between moving orbs and stationary orbs. While each look more-or-less the same, stationary ones can be engaged with by standing by them and tilting the controller. Moving ones, though, are merely suggesting a path to walk down to find an autoplaying scene. If stationary orbs were interacted with by a single button press, I would have figured out not to try touching moving ones much sooner. Instead, I found myself chasing moving orbs while swinging my arms around, desperately trying to tune them. Even later in the game, I found orbs drifting at an intersection, unsure if they were stationary or mobile. This detracted greatly from my opening hours with the game, leaving me unsure if I was playing correctly and unsure if I was missing vital story moments. Better visual design of the orbs, or not using entirely arbitrary motion controls could have rectified this. Once I got past the early feedback issues, Rapture was stunning. It was a stunning environment that I felt like I could get intimately lost in while still being confident the game would lead me to where I should be. Like Dear Esther before it, it feels like a videogame made by people who understand how videogames (as opposed to games) are capable of being engaged with. It was satisfyingly ambiguous and pleasantly straightforward. Most importantly, it was so pleasurable to just walk through it and look at its world, and that is ultimately what any walking sim should be striving to achieve. 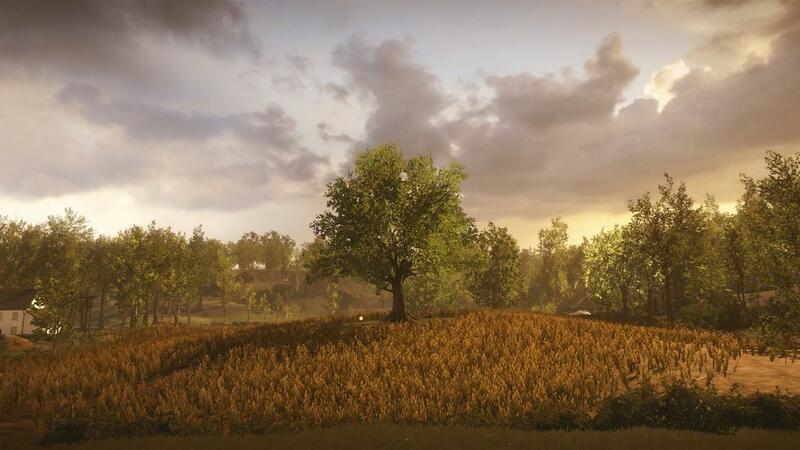 This entry was posted in Notes and tagged dear esther, everybody's gone to the rapture, gone home, Notes, proteus, walking sims by brendankeogh. Bookmark the permalink.